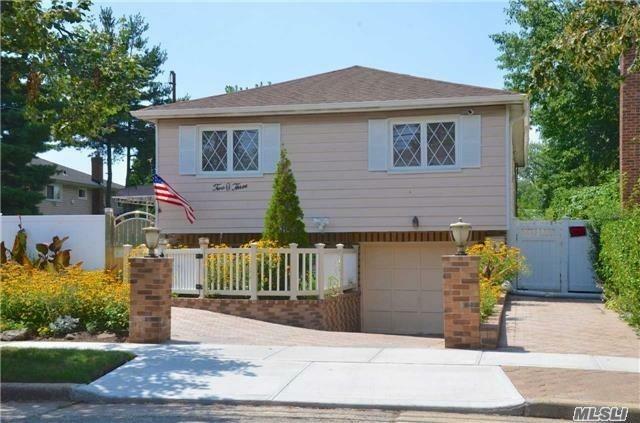 :Very Large One Family Home Perfect For Entertaining. It Offers Two Levels Of Comfort And Space For A Big Family Or Seamlessly Converted To Mother/Daughter With Proper Permits Or As Currently Set Up As A Daycare And Permit To Start Your Own Business. Outdoor Kitchen, Pool And Hot Tub. Vacant Lot 40X158 Next Door Is Also For Sale Separately To Keep Your Extended Yard Or Build Another House. Taxes Are Inclusive Of Both Parcel Of Land. Blocks Away From Hofstra University.